Home is where we can rest our worn out body, raise our children, and stay protected from the climate changes and elements. With that said, it is essential for the home to be a safe and healthy environment. Unfortunately, the materials used in constructing homes are usually toxic, and buying a brand new house makes no difference. If you are thinking of building a new house from scratch, you must educate yourself about the common construction materials that may pose a huge health risk for you and your family. The following are a few of the most toxic building materials you must avoid using. These products are created by sticking together layers of fragmented wood. Engineered wood products are typically used to create cabinets, kitchen counters, wall paneling, and so on. These products are not advisable since the adhesives used to glue together the fragmented wood emit pollutants, such as formaldehyde into the environment. As an alternative, you can consider using natural, solid wood for your wood product, furniture, and cabinets. If you really want to use engineered wood products, choose those that contain no or reduced levels of chemicals. PVC has been used for many years in home construction. As a building material, it is very affordable, easy-to-install, and can be replaced easily. For these reasons, many contractors believe that this is an ideal building material; however, PVC poses a huge health risk for those who use it. PVC products, such as vinyl flooring, can release chemical compounds known as phthalates. This chemical has been associated with the increase in asthma cases in residential homes. In addition, the lead additives found in PVC mini-blinds are found to be the major cause of lead poisoning in some children. Other health problems which may develop due to exposure to toxic levels of PVC include developmental disabilities, disruption of hormones, and respiratory problems. Most of us are aware of the health risks of asbestos in insulation, but did you know that even the standard fiberglass insulation can be quite dangerous? Small pieces of fiberglass can be toxic if you or any of your family members inhale them. In addition, some types of fiberglass contain formaldehyde which can be released into the environment. To lower health risks, you can buy safer types of insulation, such as cotton insulation, from a green building supplier. You can also use insulation made from recycled paper since it is formaldehyde-free. Oil-based paint can contain about 300 toxic chemicals and 150 carcinogens. This is based on the study made by John Hopkins University. Among the toxic chemicals found in this type of paint are mercury, methylene chloride, methyl ethyl ketone, toluene, lead, alkyl resin, and kerosene. The vapors emitted by this type of paint can be released into the environment while painting. It can irritate the eyes, skin, and lungs. Paint strippers, on the other hand, are used to get rid of oil-based paint. They also contain toxic and highly volatile chemicals, such as acetone and methanol. As an alternative, you can use water-based paints or low-volatile paints since they contain lower toxic solvents. Although water-based paints can still cause eye or skin irritation, they are less harmful and less toxic as compared to oil-based paint and strippers. The author, Kris Lim, is a health advocate who offers basic information about the toxic construction materials that can pose the highest health risks. Some of her written works have been used by Hayden Homes in Junction City. 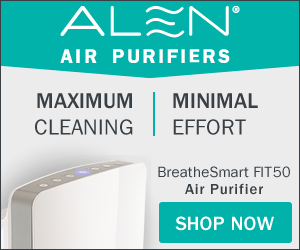 Betterhealthinnovations.com offers a great selection of air and water purifiers to help rid your home of harmful pollutants.